AN OVERACHIEVER in a Class of its own. The Eliminator III LaserScope is the most innovative and effective hunting riflescope in the world. Combining outstanding optics, pinpoint laser rangefinding, and precision trajectory compensation for the exact ammunition you choose for your hunt, it eliminates most of the variables and guesswork that often cause hunters to go home empty-handed. In one fast sequence the Eliminator III determines the distance to your target, factors in your trajectory and illuminates the perfect holdover. Its that simple. The Eliminator III significantly extends the range and accuracy of your favorite rifle. No other riflescope combines the level of quality, technology, accuracy, repeatability, speed and effectiveness. It will greatly increase the distance at which you can make an ethical shot. Eliminator III LaserScope 4-16x50 mm is one of the most advanced riflescopes on the planet. Its sleek, lightweight design is robust. And its ready for action, ranging and knocking down targets out to 1,200-plus yards. Precise trajectory compensation is calculated for your exact ammunition and range. You can use the illuminated aiming point to take down game even in low-light conditions. The Eliminator III 4-16x50 mm is now available with a Remote Cable Switch to activate the On/Range button from any position the shooter desires. The Remote Cable Switch is flexible, and has a length of 14-24 inches to accommodate various mounting positions. Push button activation is simple and repeatable..
Eliminator III LaserScope 4-16x50 mm is one of the most advanced riflescopes on the planet. Its sleek, lightweight design is robust. And its ready for action, ranging and knocking down targets out to 1,200-plus yards. Precise trajectory compensation is calculated for your exact ammunition and range. You can use the illuminated aiming point to take down game even in low-light conditions. The Eliminator III 4-16x50 mm is now available with a Remote Cable Switch to activate the On/Range button from any position the shooter desires. The Remote Cable Switch is flexible, and has a length of 14-24 inches to accommodate various mounting positions. Push button activation is simple and repeatable. Model 200119 is also compatible with muzzle loader and low velocity cartridges (.300blk, rimfire, etc.). You are able to select 50 or 100 yard zeros. The model200119 is the only current Eliminator model with these abilities..
(USED) Eliminator III LaserScope 3-12x44 mm is one of the most advanced riflescopes on the planet. Its sleek, lightweight design is robust. And its ready for action, ranging and knocking down targets out to 1,200-plus yards. 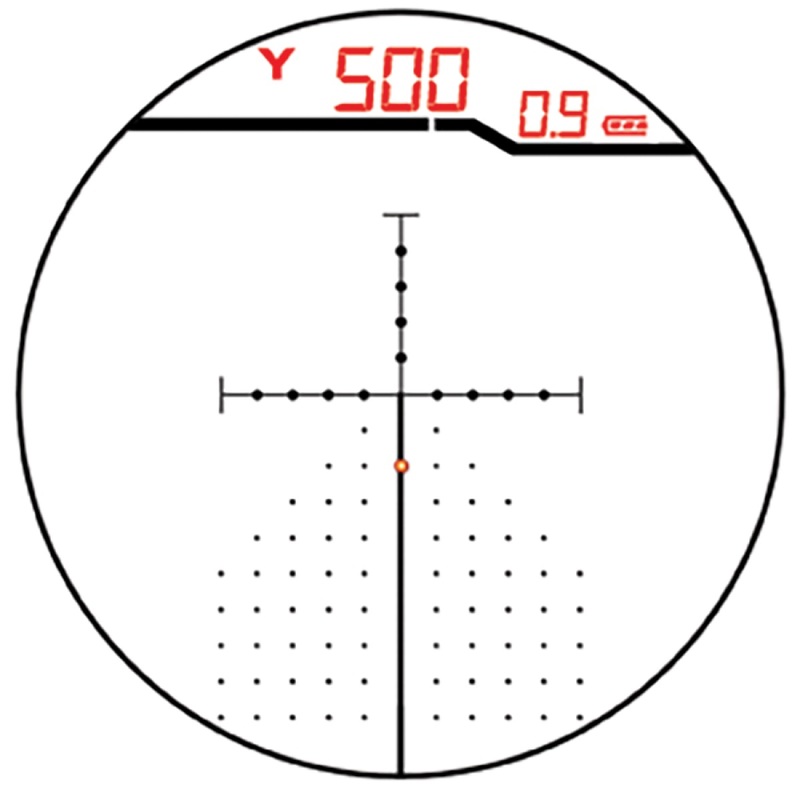 Precise trajectory compensation is calculated for your exact ammunition and range. You can use the illuminated aiming point to take down game even in low-light conditions. The Eliminator III LaserScope 3-12x44mm delivers extreme accuracy at extreme ranges. Eliminator III LaserScope 3-12x44 mm is one of the most advanced riflescopes on the planet. Its sleek, lightweight design is robust. And its ready for action, ranging and knocking down targets out to 1,200-plus yards. Precise trajectory compensation is calculated for your exact ammunition and range. You can use the illuminated aiming point to take down game even in low-light conditions. The Eliminator III LaserScope 3-12x44mm delivers extreme accuracy at extreme ranges.